If you enjoy this free sample of issue 10, you can purchase the full issue (in print version or as a PDF) from our online shop. The fluoride issue is hotting up in New Zealand with hard work by Fluoride Action Network NZ (www.fannz.org.nz) and local Hamilton pure water activists paying off with the city of Hamilton (home to 203,000 New Zealanders) now being fluoride-free. 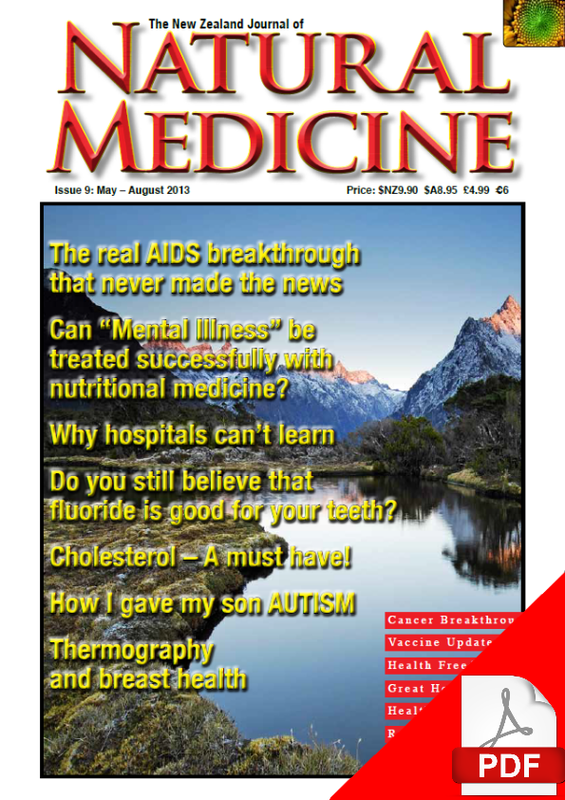 (Editor’s note: Hamilton’s water supply was fluoridated again after Contributing editor Lady Carla Davis provides a guest editorial on fluoride for this issue which looks at the health issues and ethics of using public water supplies as a vehicle for mass medication. 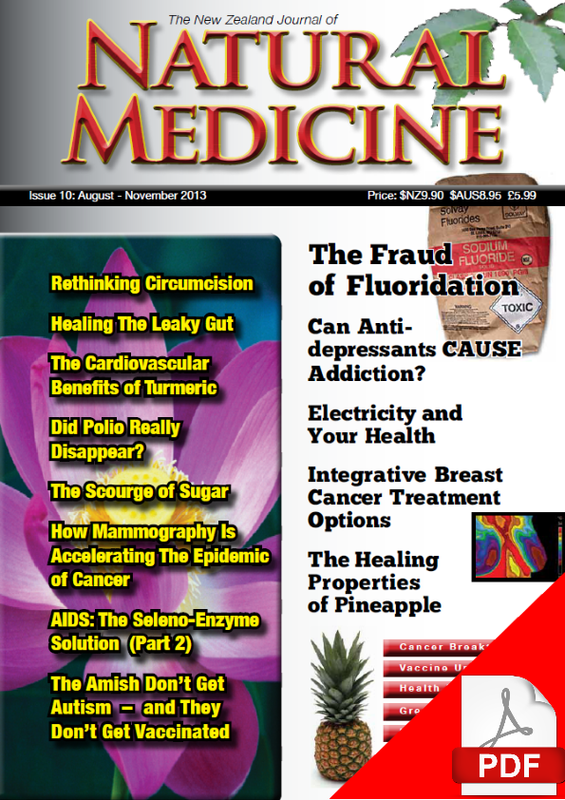 Also, in this issue, medical herbalist and nutritionist Angela Frieswyk provides a comprehensive overview of the causes and treatment of “leaky gut”, a disorder which contributes to many other health problems. An excellent in-depth article by Mark Sircus OMD explores the symptoms of magnesium deficiency – and how these may lead to unnecessary prescription of pharmaceutical medications. Women’s health features strongly in issue 10. Naturopath Eric Bakker has contributed a major article on polycystic ovarian syndrome, and nurse and author Kimberley Paterson writes about integrative treatments for breast cancer. Sayer Ji, PhD (founder of www.greenmedinfo.com) examines the new evidence that suggests that routine mammographic screening may do more harm than good for many women. When it comes to cancer, prevention is better than cure, and in this spirit naturopath David Hodges has written an article on the politics of cancer prevention, as well as giving advice on how to reduce the risks of developing this disease. In this issue, two readers share their cancer recovery stories: one from a mouth cancer and another from multiple skin cancers. If you’re not aware of the “selenium” protocol for AIDS, you should be. 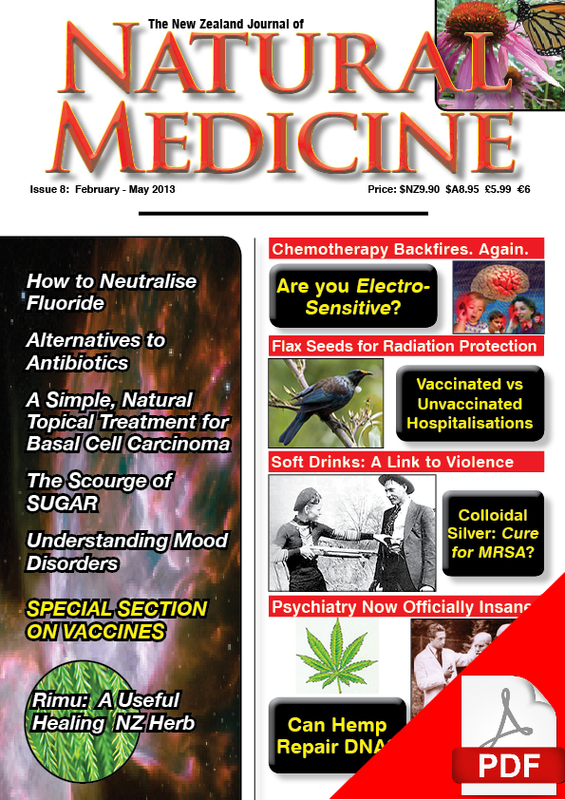 We started with Part One of this ground breaking article in the last issue, and continue with the second part of the nutritional treatment option for AIDS – which is also relevant to people with chronic infections with hepatitis B and C as well as the coxsachie B virus associated with chronic fatigue and fibromyalgia. 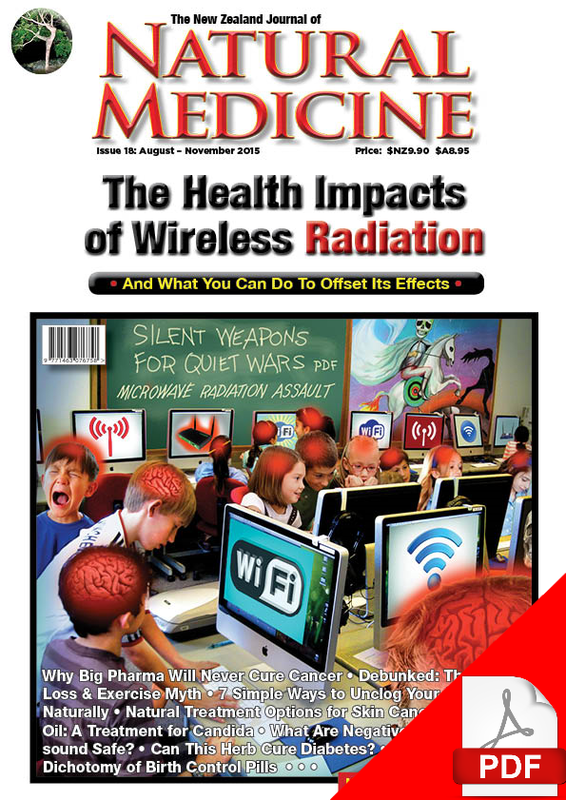 In other articles in this issue, electropollution expert Paul Waddell has also written an article about electricity and health and osteopath Martien Jonkers-Hommel has written an introductory article about osteopathy including its history and how it is practised in modern New Zealand. Herbalist Amy McComb explores the common but under-utilised NZ native medicinal tree Houhere (Lacebark or Houheria populnea) while Dr Suzanne Humphires, MD takes a look at the efficacy of the polio vaccine and asks if this dreaded disease really disappeared…or are polio cases simply now re-named as “acute flaccid paralysis”. In the spirit of “Let thy food be thy medicine and thy medicine be thy food” we explore the healing properties of pineapple and Lady Carla Davis concludes her three part series “The Scourge of Sugar” with practical tips on how to enjoy a healthy diet. Altogether another “cracker” of an issue.